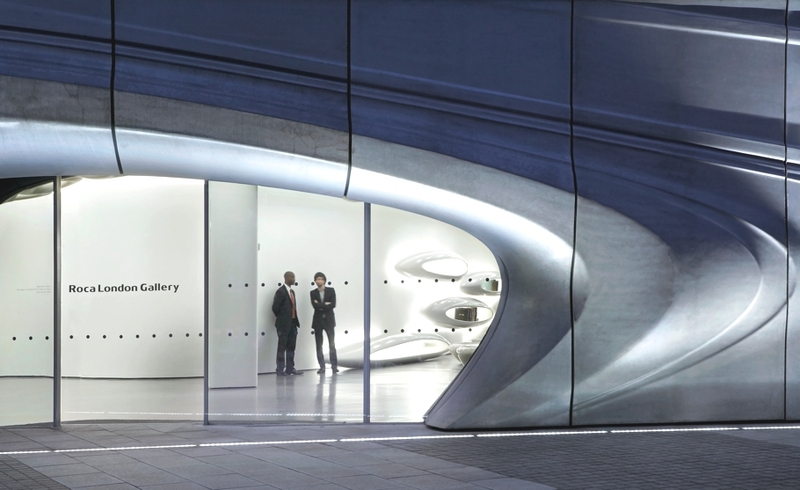 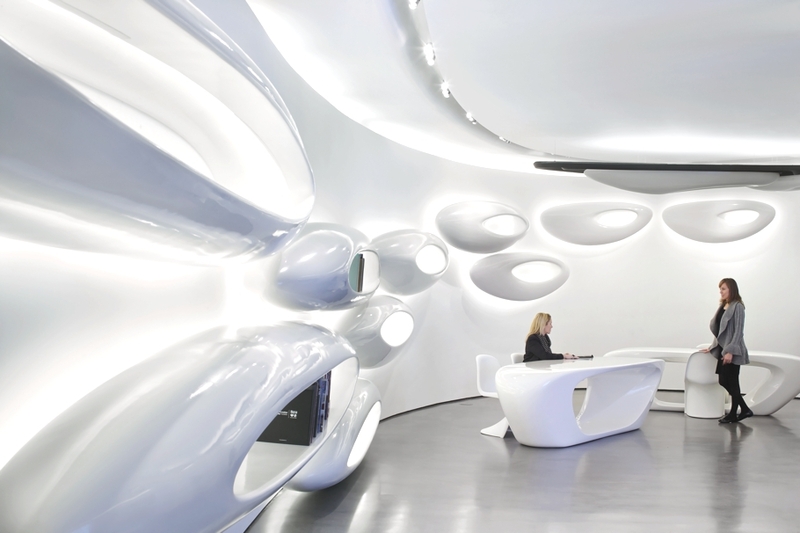 Zaha Hadid Architects and Roca have announced the opening of a brand new flagship space, the Roca London Gallery, at Imperial Wharf close to Chelsea Harbour. 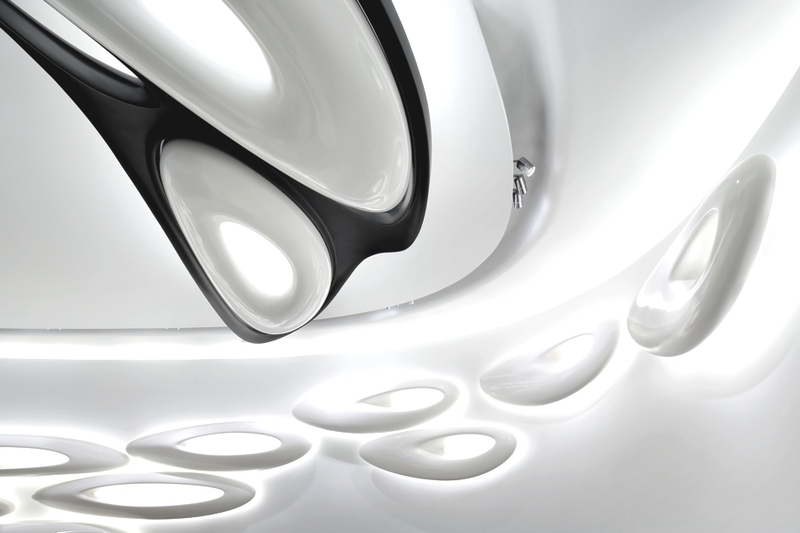 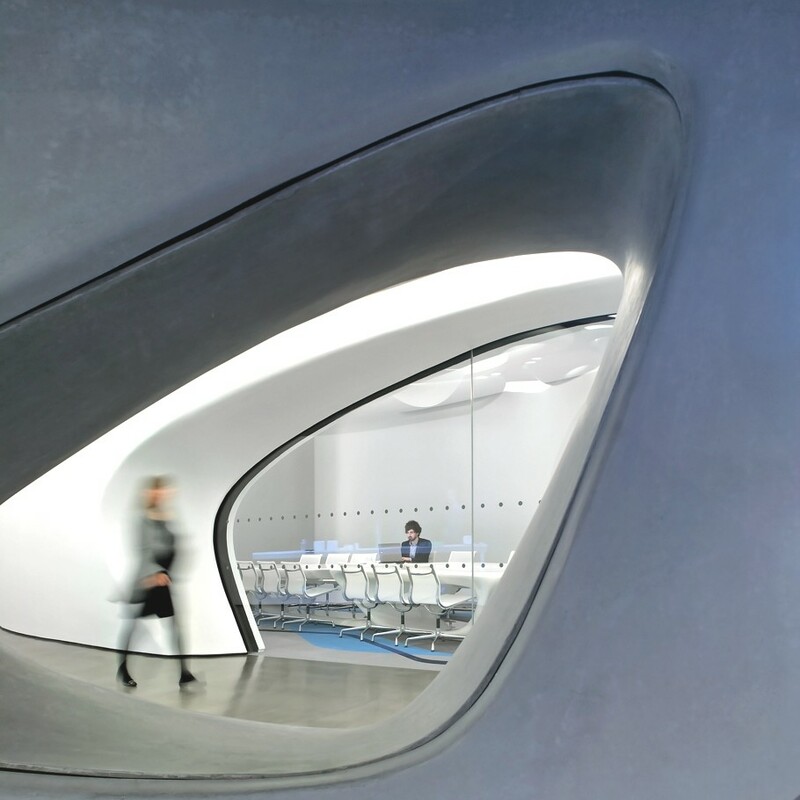 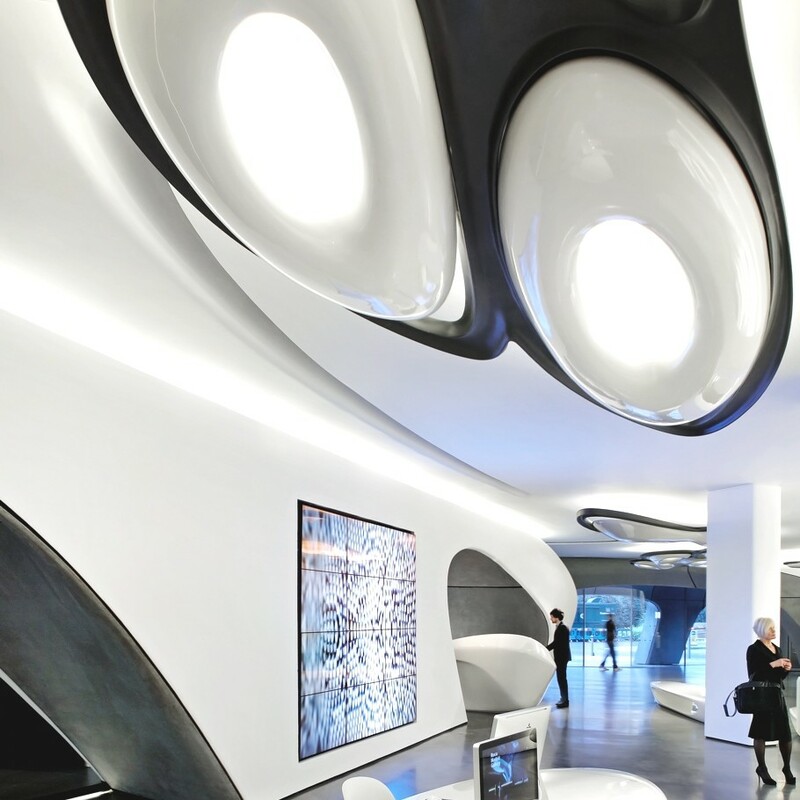 Zaha Hadid Architects were commissioned to create this unique concept which takes its inspiration from the power of water as a transforming element and which will bring the Roca London Gallery to life. 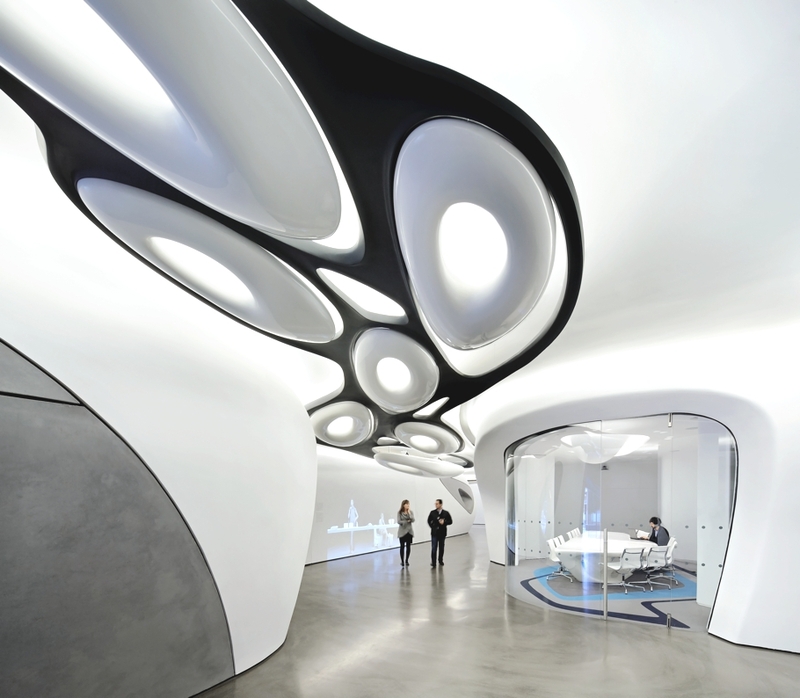 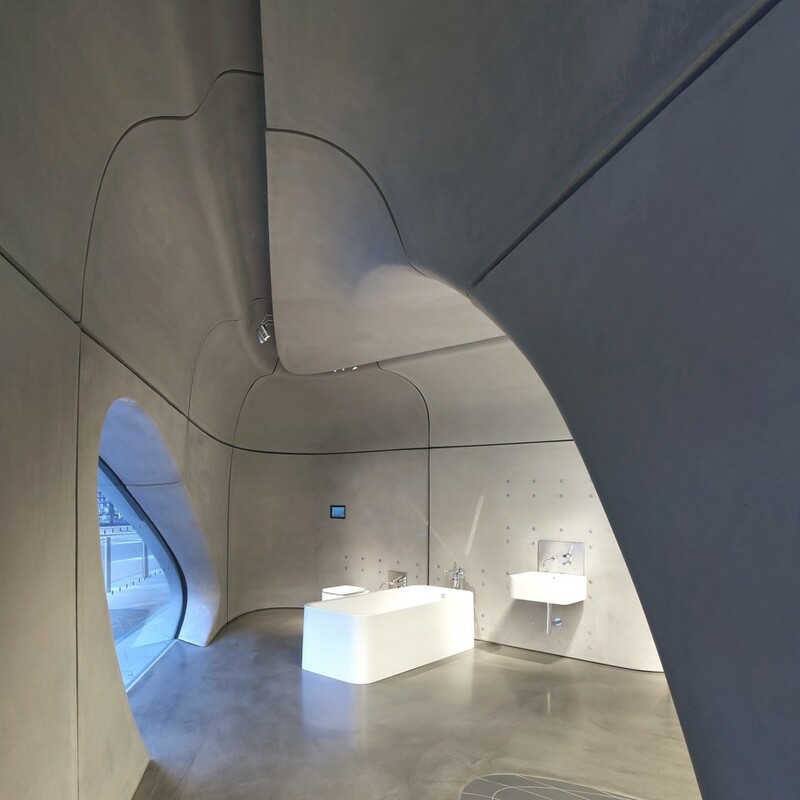 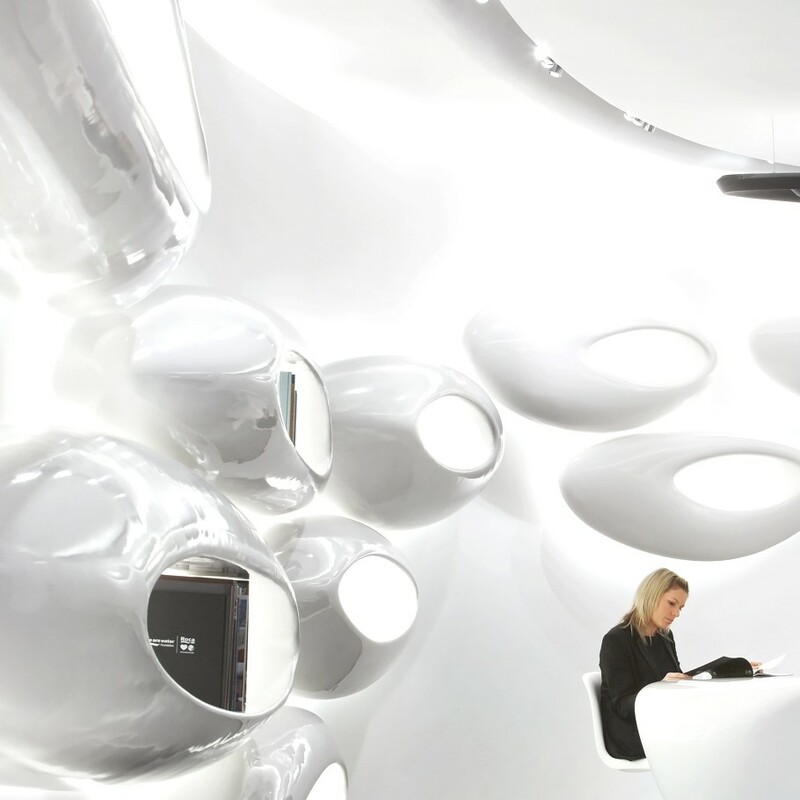 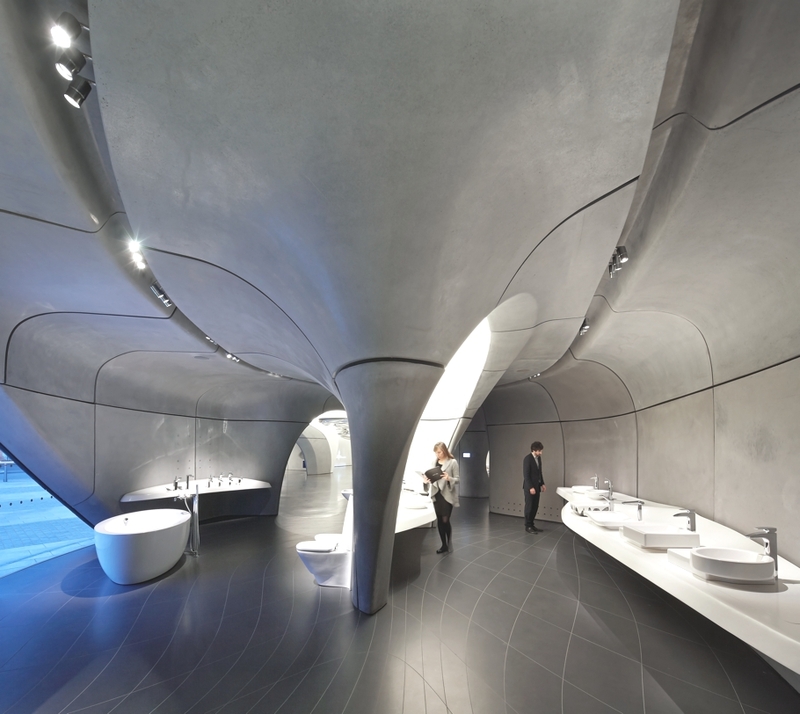 Zaha Hadid and her team have created a design that is not just purely visual, it also uses the art of precision and control to help the visitor understand the relationship between the architecture of the space and the design of Roca bathroom products. 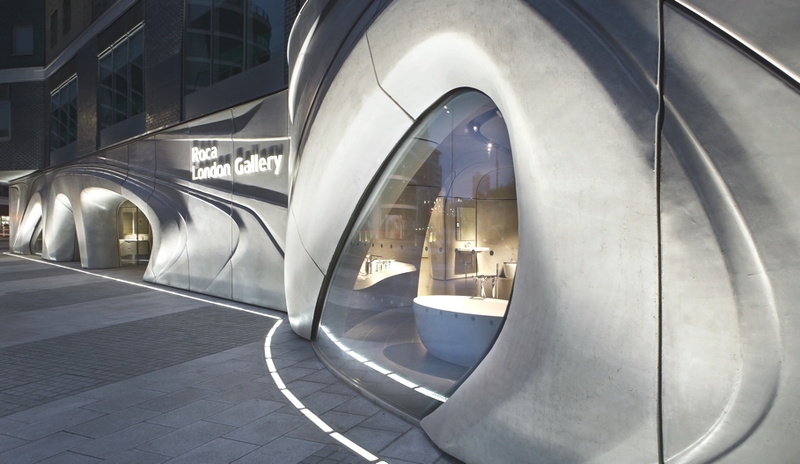 Roca’s commitment to design and innovation is clearly visible in the exterior of the building with its distinctive and unique façade which gives the Roca London Gallery its identity. 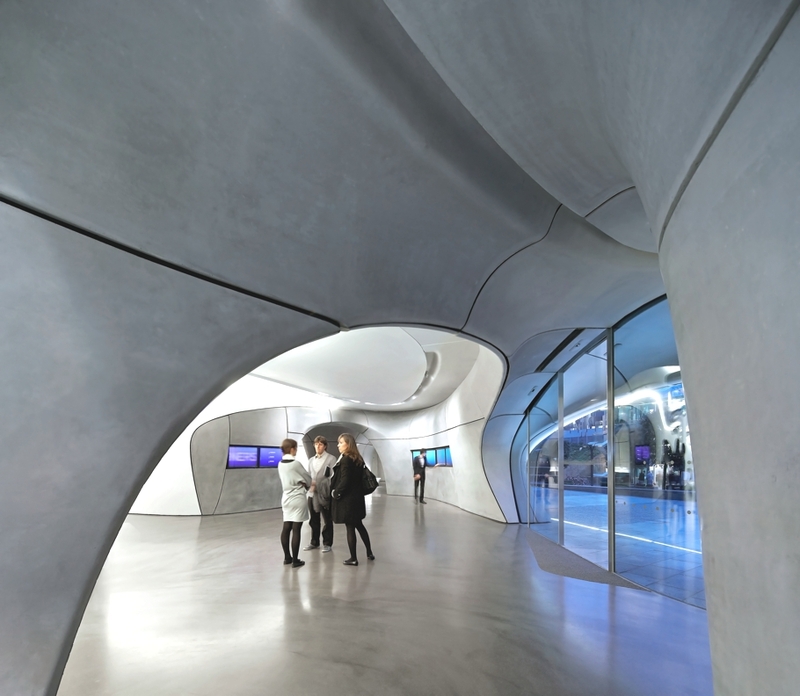 Three almost organic portals which appear to have been shaped by water erosion open up this space to the city. 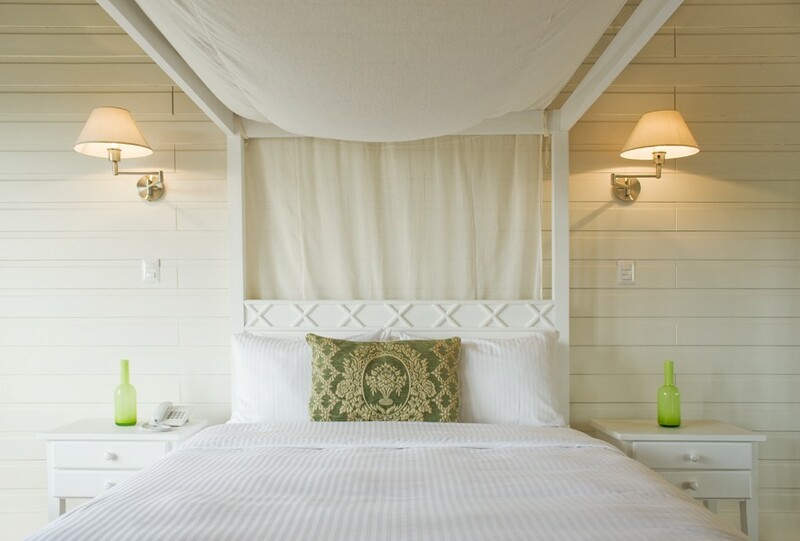 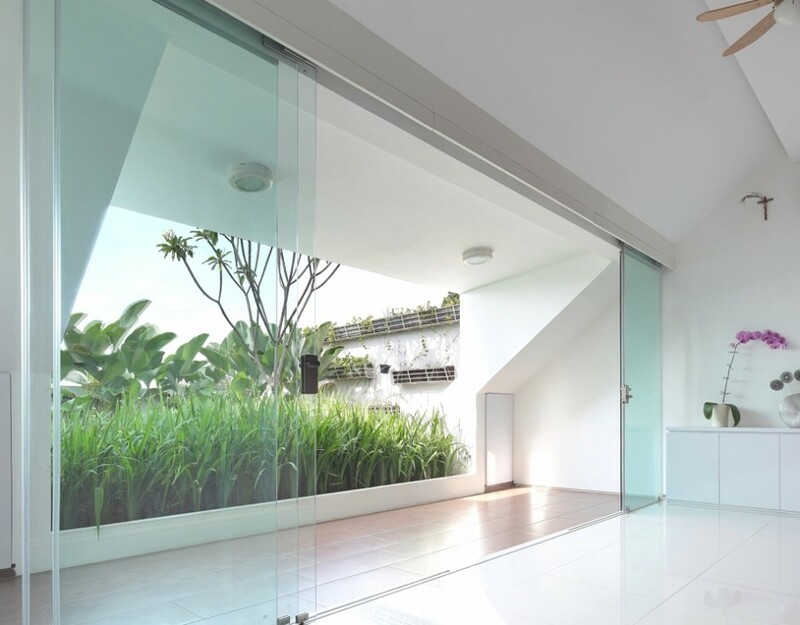 Jakarta-based architectural practice, TWS & Partners, have designed the Split House project. 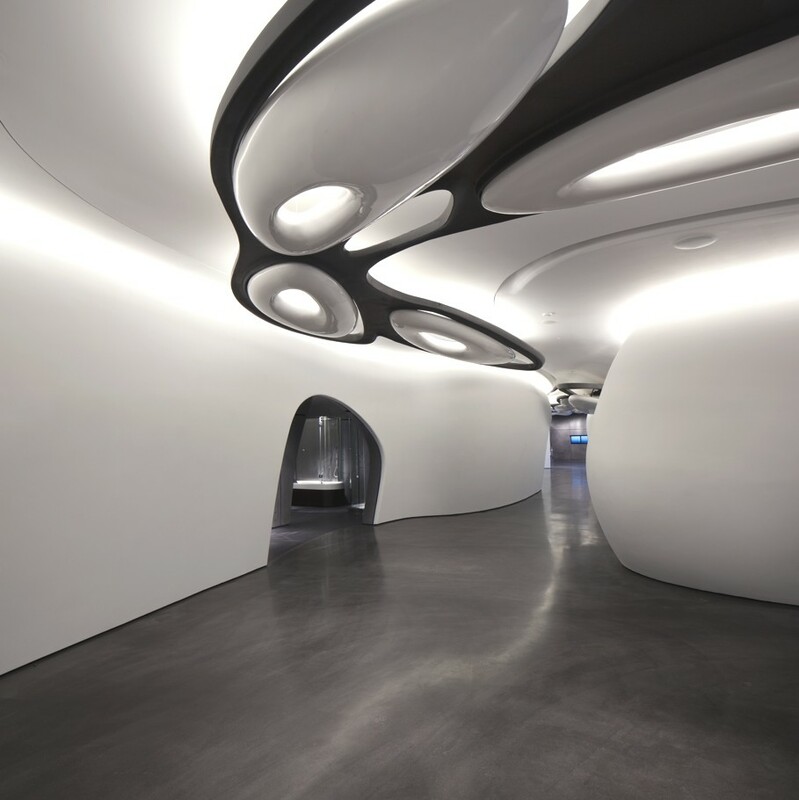 The contemporary property, which belongs to a family of four can be found in West Jakarta, Indonesia.